The Original and the best. The SuperTensioner is unique to Anti Wave. 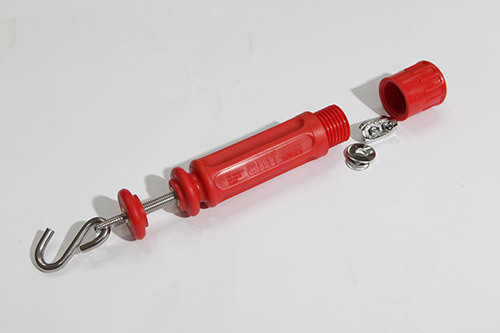 Anti wave SuperTensioner provides simple hassle free tensioning of stainless steel lane cables and lane ropes and is superior to outdated turnbuckle technology. Easy to adjust, all you need to tension or release the lane line is a few twists of the wrist. 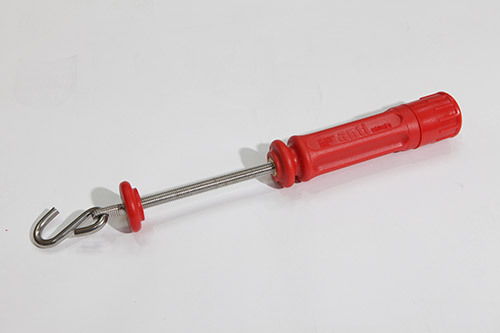 There is no ratchet mechanism, there is no wrench required. Can not be released accidentally. All other ratchet type tensioning devices can be "tripped" accidentally, often resulting in a mess of cable and ratchet teeth. With its lock-nut feature, this simply can not happen. Will not fray the cable, the body of the SuperTensioner is designed to rotate around the cable, rather than the cable being tightly wound around a small-diameter drum. This effectively removes the fraying cable, safety concerns and the need for plastic coated cable from the equation. Saves time and eliminates hassles when reconfiguring the pool. After initial installation, getting lanes in and out of the pool is a matter of minutes. Can be used on existing lane lines. Designed to fit any lane lines using up to 4mm cable. Comes fitted as standard on Midi and Maxi Anti Wave swimming lanes. Stainless Steel rod with brass ferrule impact modified polypropylene body construction threaded rod allows simple lengthening or shortening of lane lines. To attach the cable, unscrew the end cap and attach the cable to the short clamp set, then replace the end cap to hide the cable and keep it out of the way. Cable is SS316 with diameter of 4.0mm and max force of 5Kn. Body Length including lock nut is 230mm. 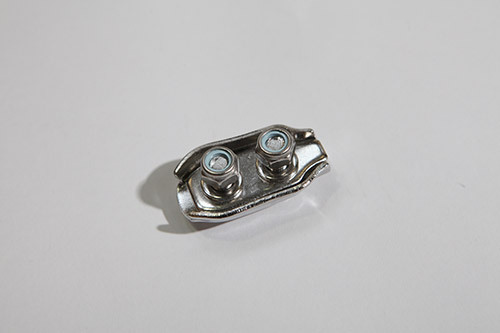 The SuperTensioner long clamp hook included with the SuperTensioner. 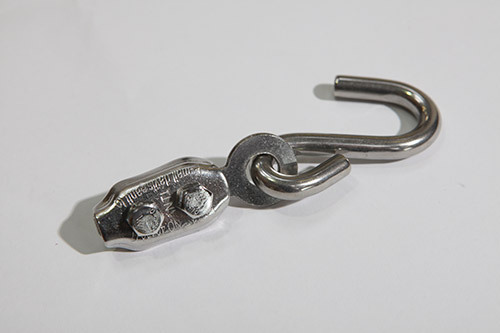 Produced from SS316 and includes Clamp plus SS316 Hook. 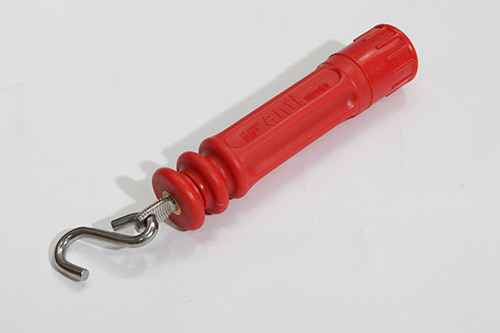 Provides Secure, trouble free cable attachment to the pool end fitting. 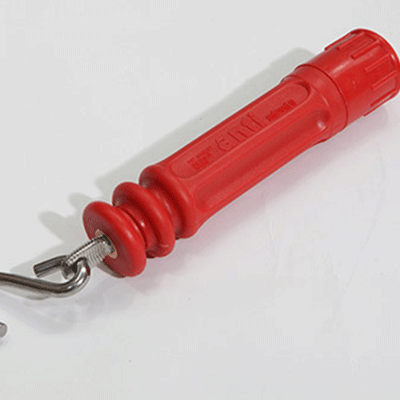 Allows for cable to be cut and adjusted to needed length for each specific swimming pool.